CBSE has introduced a new education system for students of 6th to 10th grades called CCE (Continuous and Comprehensive Evaluation). CCE aims at evaluating all aspects of students progress by conducting multiple tests throughout the year without any repetitions in the syllabus in the final exams. ECAS (Enhanced Campus Automation System) is a versatile educational software that is up-to-date with modern ways of conducting examinations. Let us see how ECAS can be used by CBSE schools for this new CCE pattern of education system. CCE pattern exam papers for CBSE can be generated by manually typing selected questions into word file or alternatively by Question Paper Generator Software. ECAS question paper generator offers question paper creation of multiple choice questions as well as written theory. A general set of questions for oral tests can be created from ECAS. These questions can be printed in several formats to use it during written or oral examinations. Similarly, home work and class work can be assigned to students in groups batch-wise, class-wise, course-wise, etc through the software. 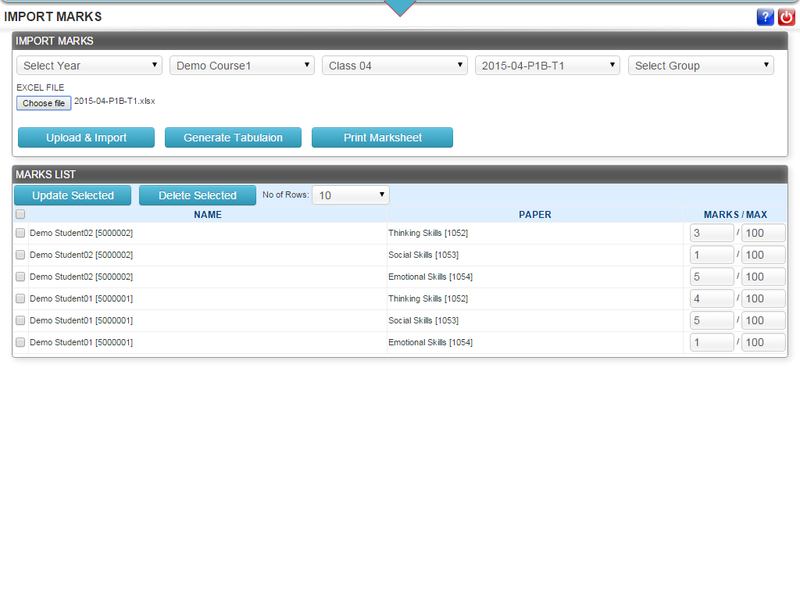 Students can login to their dashboard to check daily assignments. Teachers can score the class and home assignments and use ECAS to feed the scores of students in the system. CBSE board also offers an online aptitude test which can be conducted online through ECAS. The grading system of CBSE schools is different from other schools. Different layouts and designs in ECAS can be used for creating mark sheets to suit the standards of CBSE board. The scores of CBSE results are calculated from the summation of all tests conducted throughout the year. Such scores can be calculated using the tabulation register generation facility in ECAS which displays all complete examination details of students. It can also be used to analyze the performance of students in detail. Using ECAS, detailed mark sheets and examination reports of students can also be uploaded on the website for CBSE schools. Apart from regular type examinations, various assignments like projects, group work, survey, seminar, etc. is supposed to be given to students, documented and graded by schools. In ECAS, all kinds of documents and reports can be uploaded and graded accordingly. CCE pattern is not just based on examinations but also focuses on student assessment. Through feedback forms and survey facilities in ECAS, this can be achieved effectively maintaining the standards of CBSE board of education system. Some of the CBSE board schools are already using ECAS as their web-based school management software and have hugely benefited by it.